Has a bright green colour and full on lime taste. 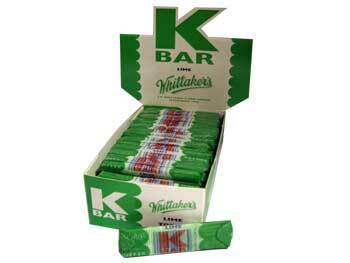 I used to eat K bars with my friend after school in NZ, they are a burst of fruity goodness in you'r mouth that just keeps on going, too good to be shared. one chewy bit will keep you going for ages! so glad I have found some here in the uk.